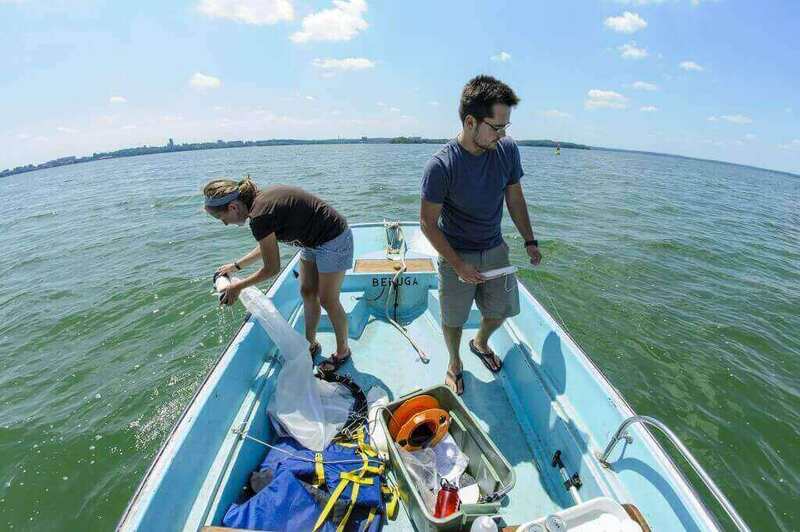 A new study shows the economic and ecological impact of invasive species in the Great Lakes has been dramatically underestimated. In fact, according to researchers at the University of Wisconsin–Madison, a single non-native species in a single inland lake has racked up $80 million to $163 million in damage. The findings suggest a need to recalculate the cost of invasive species. “Our study indicates that previous attempts to put a price tag on invasive species impacts haven’t come close to the true cost,” says Jake Walsh, a Ph.D. candidate at the UW Center for Limnology and lead author of the report, published in the Proceedings of the National Academy of Sciences. The study might also inform the conversation about costs and benefits of the Great Lakes shipping industry. For decades, oceangoing ships have brought tons of cargo and tens of millions of dollars into the Great Lakes economy each year. But that manmade connection between the Great Lakes and the Atlantic Ocean has also helped bring in more than 180 non-native species. Most studies, Walsh says, have focused only on invasive species that live in the five Great Lakes and looked just at direct costs of managing them — like the $20 million spent each year to poison invasive sea lamprey. Instead, Walsh and his colleagues turned their attention to secondary invasions, or places where invasive species have moved since their introduction to the Great Lakes. The researchers also added “ecosystem services,” the benefits that humans derive from natural resources, to the equation. For example, Lake Mendota in Madison is essential to both the local economy and residents’ quality of life — supporting pursuits like fishing, boating, swimming and recreation along its shores. Clear, clean water is the key ingredient to all of these ecosystem services. However, since at least 2009, Lake Mendota has been invaded by a tiny, voracious zooplankton called the spiny water flea. Originally from Russian lakes, the invader made its way to the Great Lakes in the ballast water of oceangoing cargo ships, historically a major vector of Great Lakes invasive species introductions. The spiny water flea then moved inland in boats or bait buckets and now feasts on a native species of zooplankton called Daphnia pulicaria. 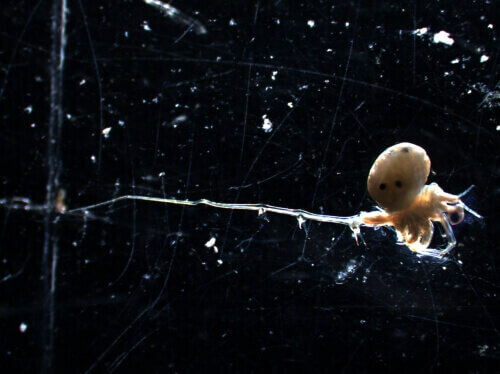 Left to their own devices, says Walsh, daphnia help “clean” the lake by eating huge amounts of algae — so much, in fact, that they create clear water. Today, however, Lake Mendota’s daphnia are falling prey to the spiny water flea before they can take their toll on algae. Complicating matters is agricultural fertilizer that runs into the lake. This fertilizer contains lots of phosphorus, which promotes the growth of algae just as well as corn or soybeans. These high-fertilizer, low-daphnia conditions add up to a dramatic decline in water clarity and a sharp rise in algal blooms. 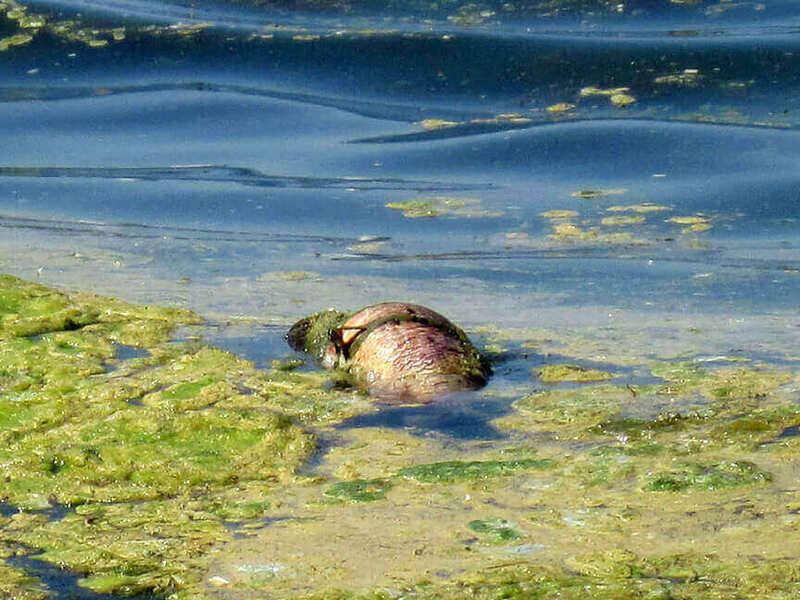 Since the spiny water flea’s invasion, water quality in Lake Mendota has plummeted and algal blooms, like the one pictured, are on the rise. Photo: Steve Carpenter. Currently, there is no way to rid a lake of billions of nearly microscopic zooplankton short of poisoning the entire body of water. But there are land use practices and technologies available to reduce phosphorus runoff. Through statistical modeling, the researchers determined that it would take a 71 percent reduction of phosphorus to return Lake Mendota’s water quality to pre-invasion conditions. Stemming that flow comes at a steep price — anywhere from $80 million to $163 million dollars. While only a fraction of the 180 species that have entered the Great Lakes have become nuisance enough to be labeled “invasive,” their collective impact is staggering, says Walsh. “There are hundreds of billions of dollars’ worth of damages we can account for right now. If you add in invasive species’ impact on ecosystem services and look at secondary invasions, then that number is likely to be trillions,” he says.